President Goodluck Jonathan on Saturday formally sympathised with the governments and people of Britain, Italy over the two European citizens killed in the failed rescue attempt by security forces on Thursday. 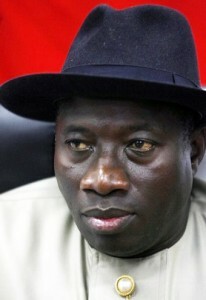 Special Adviser to the President on Media and Publicity, Dr. Reuben Abati made this known in a statement where he said that President Jonathan’s condolence messages was delivered via diplomatic channels in separate letters to the British Prime Minister, David Cameron, and his Italian counterpart, Mario Monti. “The hearts of the people and government of Nigeria go out to the members of the immediate families of the victims in their moment of grief,” Dr. Abati quoted Jonathan. He described the support the Nigerian government had enjoyed from both prime ministers in the fight against terrorism in the country as invaluable.